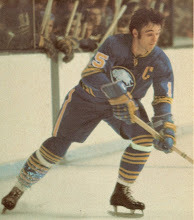 Gerry Meehan is a former National Hockey League player and executive. Meehan contributed to six NHL teams over his 14-year career -- and then had a successful run in the Sabres' front office. While you can get basic information from Wikipedia and other sites, this site features rare memorabilia from my personal collection. I'm always looking for other unusual items, so please feel free to contact me. View individual photos and team photos.